First of all - this is a very cute pattern! I made it up for my 16" Cabbage Patch girl. --I used a size J (US) crochet hook. Row 9: ch 4, * 2dc in next, dc in 18, 2dc in next 2, ch 1* repeat to end allowing for pattern notes. This made a HUGE difference in stitch counts for the rest of the pieces. Row 6: dc in 1st, dc dec in next, dc in 6, dc dec, dc in 6, dc dec, dc in last. I just couldn't make the stich count come out right otherwise. Thanks for your hard work on this pattern - I think it is much cuter, and easier to work, than the ones (knit and crochet) that Lion's offers. and this pattern was my husband choice actually. I want to make this star larger to fit a life baby, I think its easy to add 2 or 3 rows in the pentagon and continue working on the back pentagon , but I don't know how to fix the hat sections and other parts. 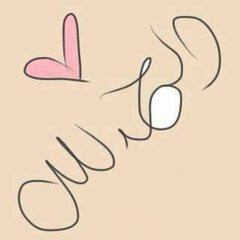 maybe you can help me with some notes or tips. 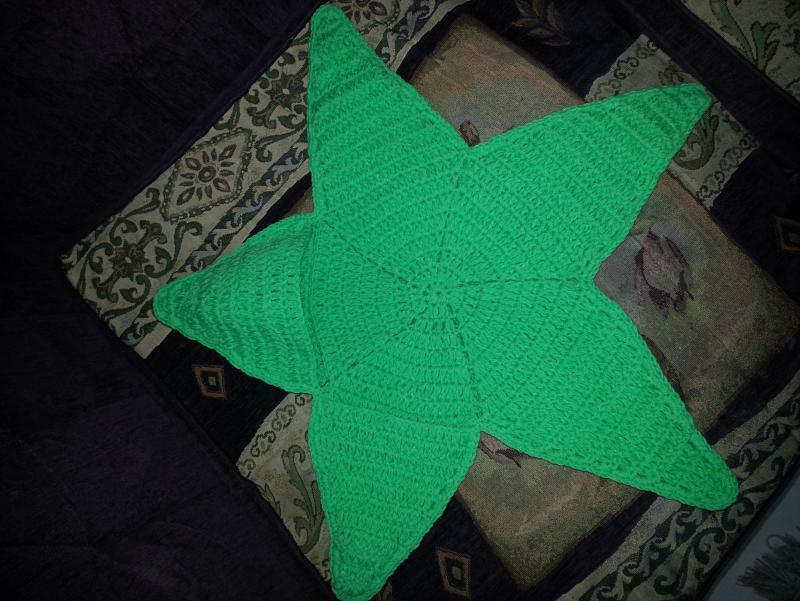 A friend of mine wanted to make this for a new baby. She used 2 strands of Sport Weight yarn and it came out just the right size for a newborn. No changes needed just the 2 strands of yarn and a 6.mm hook. actually I will deliver my baby in summer time, that's why I am not using bulky yarn, it will be very thick. however, I'll try to work 3 extra rows in the pentagon and work the back as mentioned in the pattern, and I will try to figure out how can I fix the other parts. Row 6: ch 4, * 2dc in next, dc in 12, #2DC IN NEXT 2#, ch 1* repeat to end allowing for pattern notes. That generally means that it may not work out exactly as written but it's close enough. This pattern goes back a couple of years so I don't have the thing here to check it. I love it. I was looking for a pattern like this to make for my little girl. How would you adapt it to fit a new born or 0-3 months? A friend of mine did this for a newborn. She used 2 strands of Bernat Coordinates yarn w. a 6.mm hook. It looked to be the right size when finished. the doll for this is not that far from a small newborn size. 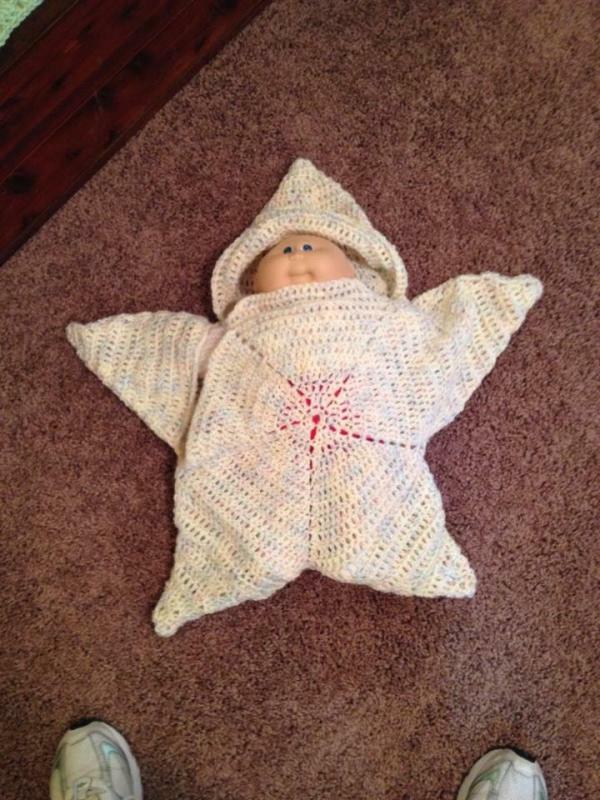 Thank you for the pattern I am making it now but I am using a larger hook and adding a few rows to see if I can make it to fit a real baby. I hope it looks as good as your original. That is so cute! Thanks for sharing. Thank you all. This pattern seems very popular and I am happy that it is getting such use. Really cute. Might have to try to make one for a 5" doll. Thank you so much for this cute pattern! 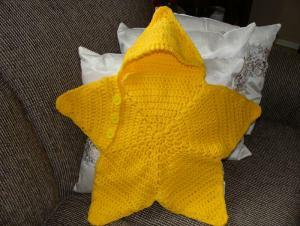 I just finished for my great nephew, using Caron Simply Soft, Sunshine Yellow. I used a cheap stiff 3/8 ribbon and tapestry needle to baste the edges together,(1/2 in. inside outside edge) before crocheting the join edge sc. It worked sweet...just pull it out, and go on to next star point. It's adorable !!!! what a good idea. basting can make it all so much easier.. I tend to use a hook through the two layers to keep my pieces together while stitching it up. Thank you so much for the pattern. Here is the one I made. I tried adding a few rows to make it fit an infant. But used my cabbage patch doll as the model. Thank you so so much .am not good in english but i understand the pattern . thank you .